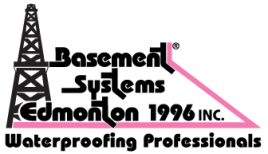 If you're a homeowner within our service area listed below and would like a no-obligation basement waterproofing quote, Basement Systems Edmonton can help you. Call or e-mail us today for your Get a Quote! Our free quotes include an on-site inspection, customized basement or crawl space waterproofing plan, and a written proposal!